So Zakspeed Racing topped the timing sheets on both days of testing at Paul Ricard on March 7/8, with Sascha Bert behind the wheel of the Saleen S7-R. 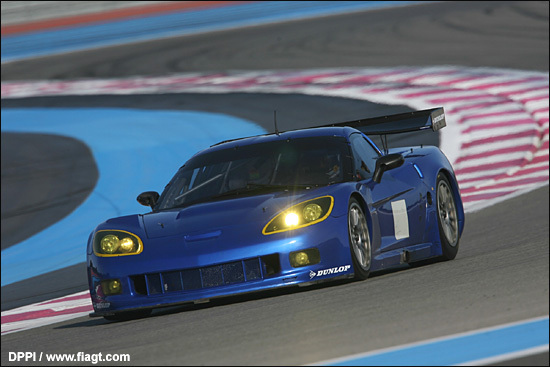 The white and blue Saleen ran trouble-free and covered plenty of miles, as the team collected data on its Michelins. New Zakspeed team manager Andreas Leberle remarked that Sascha Bert left a good impression with the team, both on the track and working with the crew. Leberle himself is probably best known from his time in the ChampCar world series where he co-owned, with Christian Danner, the Project Indy team. 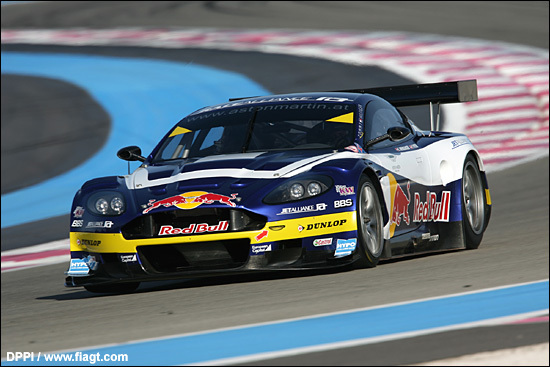 His predecessor at Zakspeed Racing, Andreas Hainke, is now in charge of RaceAlliance’s Aston Martin DBR9(s). Saleen factory engineer Derk Hartland was present at Paul Ricard as well, adding a further indication that Zakspeed Racing is going to be a front-running team. Meanwhile, the RaceAlliance team summed up its two days as - great potential, but a lot of work still ahead. The Austrian team had two Aston Martin DBR9s on hand - one still in plain white (which barely ran). “Our primary goal was to get ourselves acquainted with our new car, with the whole RaceAlliance crew, and our new tyre partner, Dunlop,” said Philipp Peter. The team’s next test scheduled for this weekend at Estoril, in conjunction with tyre partner Dunlop. The PSI Corvettes were third and fourth fastest in the 2:04 / 2:05 bracket, testing both Dunlop and Pirelli tyres - they'll use both this year, depending on which series they happen to be racing in at the time. Kuismanen, Menten and Palttala were testing the C6, Halliday and Alliot the C5. Christophe Bouchut (we think) found a time in the 2:06s on the second day, in the B-Racing Lamborghini. Marini Franchitti, hot-foot from Mexico City, also drove this car. Correction: Franchitti set the 2:06. The Reiter Murcielago remained off the ultimate pace, in the high 2:10s / 2:11s, reason unknown. GT3 round-up to come - but the two days were primarily not for the media, much more for the FIA and its equalisation procedures.